This summer’s first summit success on an eight-thousander in Pakistan has been reported. The Pakistani expedition operator “Summit Karakoram” informed that South Korean Kim Mi-gon, Taiwanese Lu Chung-han and Sanu Sherpa from Nepal had reached the 8125-meter-high summit of Nanga Parbat on Monday. 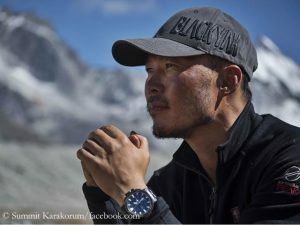 The 45-year-old Kim thus completed his collection of the 14 eight-thousanders, it said.